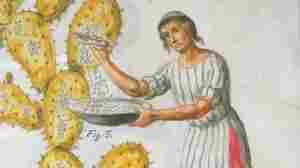 March 30, 2012  Cochineal is a red dye made from a crushed insect native to Latin America. Some vegetarians are distressed that Starbucks uses the dye in some of its pink-colored food and beverages. March 30, 2012  Venezuelan President Hugo Chavez has been traveling to Cuba for cancer treatment, but few details are known about his condition. 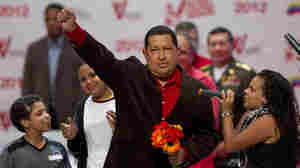 As questions arise about how this could affect his bid for a third term, a journalist is gaining a following by breaking news on the Chavez's health. March 28, 2012  In the last public event of his three-day visit to the island, Pope Benedict XVI called on Cuba, and the world, to change and choose a path of "love, reconciliation and brotherhood." Benedict met with Fidel Castro before departing the island — but did not meet with dissidents. March 28, 2012  It's a big question, and photographer Ellen Silverman has started by looking at Cuba. March 28, 2012  Pope Benedict is in Cuba's capital Havana for Wednesday's morning's open-air mass that is expected to attract huge crowds. On Tuesday, the pope made a pilgrimage to the country's most revered place: the Basilica of the Virgin of Charity. 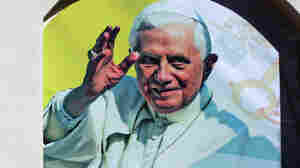 March 27, 2012  Pope Benedict continues his Latin American trip by visiting Cuba. He'll celebrate the 400th anniversary of the appearance of the Virgin of Charity and meet with President Raul Castro. Guest host Jacki Lyden talks with Washington Post reporter Nick Miroff, who is in Cuba, about the Pope's efforts to improve relations in the communist country. 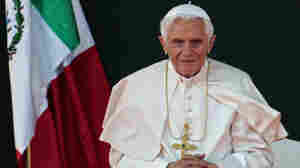 March 27, 2012  Pope Benedict is in Cuba, Latin America's least Catholic country. 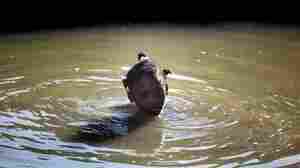 He arrived Monday in Santiago, where Cuba's revolution began in 1953. He urged Cubans to seek unity and overcome their divisions, but his message wasn't especially political. March 26, 2012  When Pope Benedict arrives in Cuba on Monday, he'll be greeted by Cuban-Americans who have made the pilgrimage from Miami and other U.S. cities. 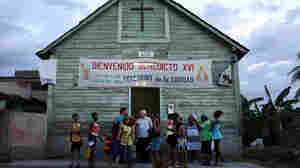 Still, there are concerns that Cuba's Catholic Church isn't doing enough to reach out to political dissidents. March 25, 2012  Pope Benedict XVI gives an open-air Mass in Mexico Sunday and, on his way there, will bless the Christ the King monument, an important symbol of Mexican Catholicism. March 25, 2012  Pope Benedict XVI's trip will be the first papal visit to the island since John Paul II's historic trip in 1998. 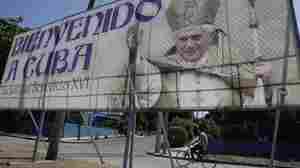 Two outdoor public Masses will give Benedict a chance to address the Cuban people, and all sides of Cuba's long political conflict will be looking for a little sympathy from the pope. 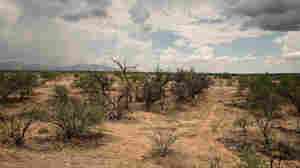 March 24, 2012  Every year, thousands of migrants cross the border from Mexico to Arizona, leaving behind artifacts from their journeys. Some of the items end up in trash bags, others in a museum. Still others end up in the morgue. 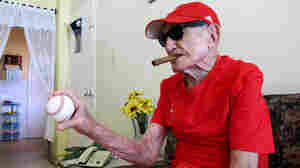 March 23, 2012  The oldest living former major league baseball player lives in Cuba. Conrado "Connie" Marrero pitched for the Washington Senators in the 1950s. Now blind and unable to walk, Marrero still remembers striking out Joe DiMaggio. And the former pitcher is finally getting a pension.